Though Lok Sabha elections have never generated enthusiasm among voters in Kashmir, the antipathy that the ubiquitous mobs of young men hurling stones and petrol bombs at polling stations displayed on Sunday in Srinagar was unprecedented. So was the turnout in the by-poll – a measly 7.14 percent – a record of sorts. National Conference veteran and former chief minister former chief minister Farooq Abdullah is contesting the by-elections from Srinagar constituency against the ruling PDP’s Nazir Ahmed Khan. Abdullah was defeated in the last election by Nazir Ahmed Karra of PDP. 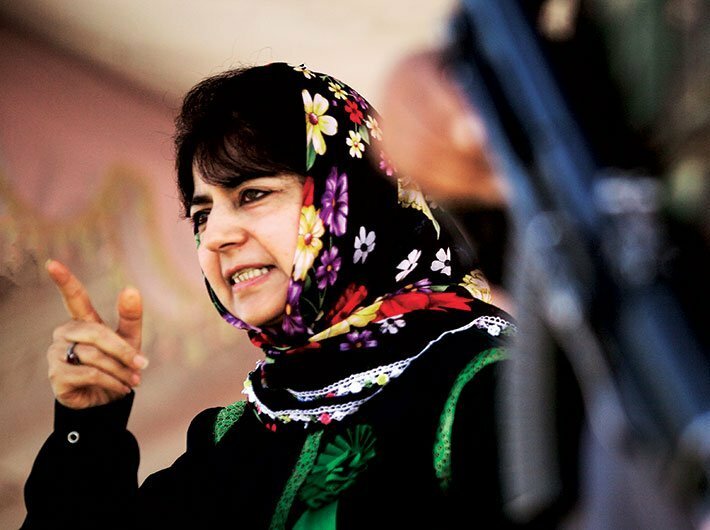 Karra had resigned in protest against continuing violence in Kashmir under the PDP-BJP rule, necessitating fresh elections. In another by-poll scheduled for April 12 for Anantnag seat, chief minister Mehbooba Mufti’s brother Tassaduq Mufti is fighting his maiden election. The Bollywood cameraperson turned politician has appealed the election commission to postpone the by-polls in view of the violence and poor turnout in Sunday’s election. • The government is yet to arrive at a strategy to tackle the increasing defiance of the Kashmiri youth, who have taken to traditional stone-pelting to take on the security forces. Fighting them with guns and pellet guns is proving counterproductive. • Srinagar remains the nerve centre of separatist operations. The city has consistently recorded low polling and it was a mere 3.84 percent this time. • The government has failed in arresting the rising tide of separatist sentiments as Budgam, which was seen as least sympathetic to the cause, saw the most violence on Sunday. Six of the eight person killed in the day-long violence belonged to Budgam. With a large Shia population, the district would often record high voter turnout but this time it was a mere 8.82 percent. • The highest figured of voting – 14.71 percent – was recorded in the Ganderbal assembly constituency. The district has a huge population of Gujjar and Bakerwals, the nomadic tribesmen who have never supported separatists.